It can be incredibly overwhelming when you are shopping for the right franchise opportunity. In every industry, there are thousands of potential companies, with an investment to suit everyone – but where do you start? When you are conducting franchising research, a franchise expo (or franchise show) offers a convenient way for you to find out what is available. Not only are there hundreds of potential franchises contained in one place, but these expos are often added to with networking events and seminars that are invaluable to all prospective franchisees. 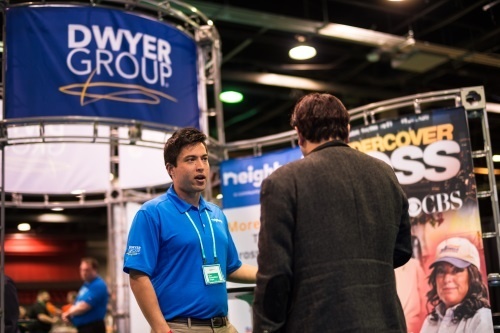 The first thing you need to do is find the right expo for you. There are some large events, such as the Multi-Unit Franchising Conference or the International Franchise Expo. Here you will find hundreds of the top franchises, which attract a lot of key speakers and industry leaders. However, it is also worth looking for local shows, as this will give you a better idea of which franchises are available in your area. These will feature regional franchises as well as national ones, and there may be financial incentives on offer. Once you have found the expo you want to attend, it is crucial you conduct some research beforehand. Get a list of the show’s exhibitors and work your way through it, deciding which franchises you are potentially interested in. Then, look at these franchises in more detail, and jot down any questions you might have for them. This will help you maximize the opportunity you have when you meet these franchisors at the event. After you have attended a franchise show, you will want to take some time to review the information you have gathered. Look through all of the materials and notes you have, and start to put together a shortlist of the franchises you like. Rank them according to important criteria you have, e.g. the industry they are in, the amount you need to invest, and the type of support they offer. Once you have done this, you are ready to start having in-depth conversations with each franchise. Normally, when you have chatted with a franchise at an expo, they will follow up this meeting with a call. If you receive this call within a week or so after the expo, this is a pretty good indicator that they are interested in you as a potential franchisee. It is also a great sign that they are on the ball, and are going to support you throughout the entire process. When you are looking for your next franchise opportunity, an expo is definitely worth your time. You just need to do some thorough planning and research beforehand to make sure you get the most out of the event.